ON BUDGET. ON TIME. ON WARRANTY. 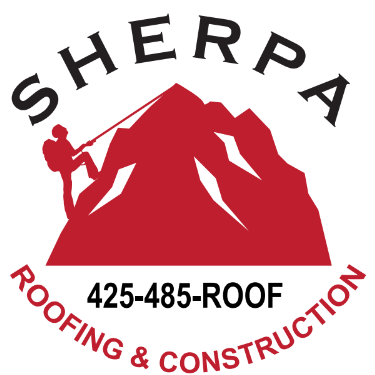 Sherpa Roofing and Construction is dedicated to customer service. We offer repair work (small or large leaks), re-roofing, re-models, residential work, and custom projects all over the Greater Eastside. 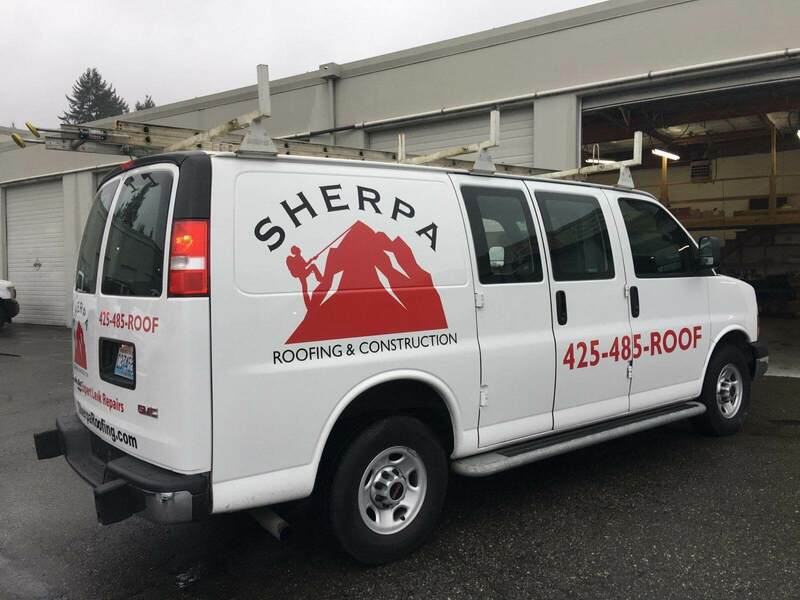 At Sherpa Roofing & Construction, our roofing contractors pride themselves on attention to detail with your roof or custom project. We aim to make your roofing project as simple as possible. We are an experienced roofing company serving The Greater Eastside (Bellevue, Redmond, Kirkland, Bothell, Woodinville, Sammamish & Beyond) . We offer free estimates to help you make an informed decision about hiring the right roofing service company! We take pride in completing your roofing project on time and on budget! We are happy to help no matter the scope of the project. From shingle repair, full remodels, or re-roofing, we guarantee the quality of our work. To start the process towards your new roof, call us for a free estimate! At that free estimate, we will be able to give you a detailed quote to give you a clear idea of your different options. 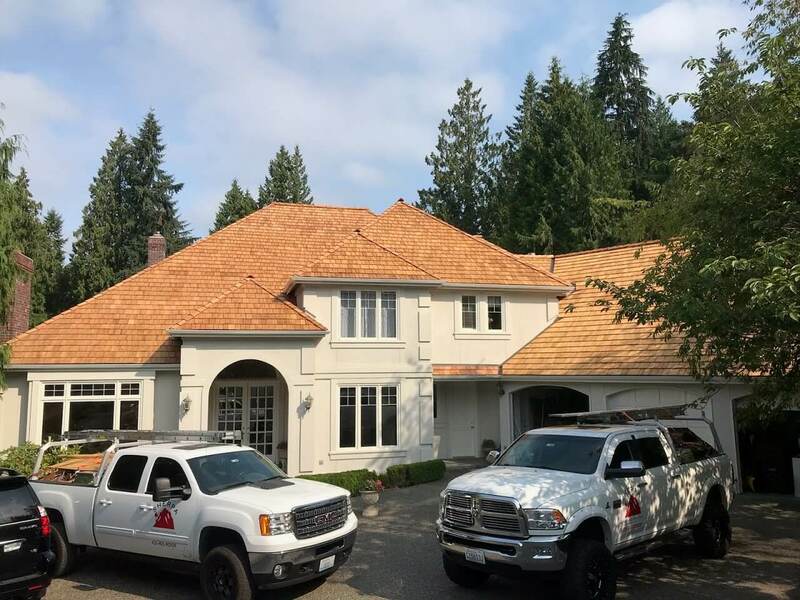 Whether you need cedar shake, tile, asphalt shingles or metal roofing, we are the best choice for Greater Eastside residents, property owners and contractors. We will clearly explain the roofing process, how long it will take, and the total cost. We offer routine roof maintenance that will drastically help to keep your new roof clean and in great shape, saving you money in the long-run, and improving the life-span of your roof. If you have questions about our different services offered, our service area, or to get your free estimate, you can also fill out this form and we will get back to you as quickly as possible. We are a united team. From the first phone call, to your first bid, all the way through completion on your roofing project; we do our best to respond quickly and always offer excellent customer service. Expect your frist appointment to take about an hour. At this appointment, we will go over your different options, discuss your timeline, and help you know what to expect from your roofing project. We are proud to offer a Lifetime Warranty on our products. We proudly stand behind the work we do. We offer warranties on both installation and manufacturing defects.